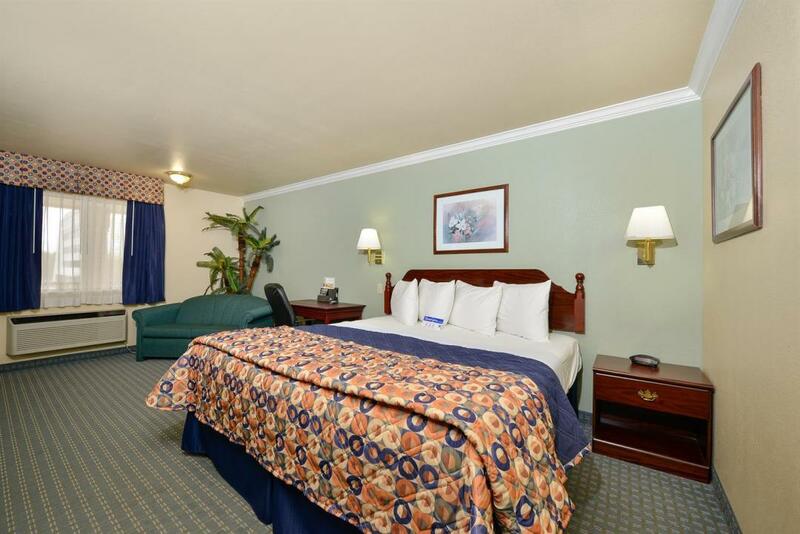 Americas Best Value Inn Houston-Hobby Airport offers the most value for your money when staying for business, pleasure, or just passing through. We offer clean spacious rooms, in-room Wi-Fi, free coffee in lobby, and free continental breakfast. All guest rooms include microwave, mini-fridge, coffeemaker, balcony, hairdryer, cable TV, ESPN, alarm clock radio, free local calls, and wake-up service. Take advantage of our extremely comfortable beds and relax while saving money year-round with our Kids Stay Free Policy (16 and under in parent's room). For those guests that are in town on longer term corporate assignments or business trips we also offer special weekly and monthly rates, as well as direct billing options. For your convenience our hotel offers both smoking and non-smoking rooms. Sorry, no pets allowed. We are only 3 miles from William P. Hobby Airport and nearby several local attractions such as University of Houston. We are conveniently located off of I-45, between Gulf Freeway and Canniff Street. 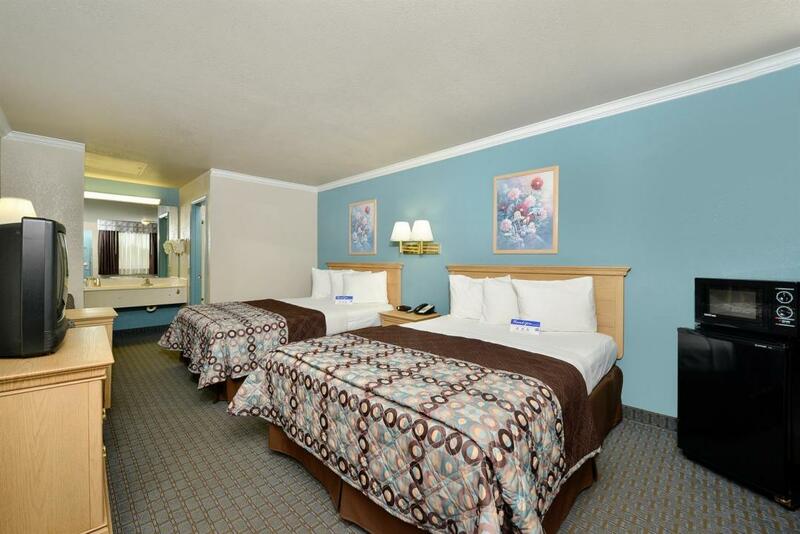 Americas Best Value Inn Houston-Hobby Airport offers ideal accommodations and our location gives easy access to fine dining at nearby restaurants, sporting events and concerts at any of Houston's venues including Reliant Stadium, Toyota Center and Minute Maid Park. Enjoy a quick getaway to Galveston Beach, Kemah Boardwalk, Galveston Beach or NASA Space Center. Mannie's Seafood Restaurant, 0.6 mi. Las Hamacas Restaurant, 0.7 mi. Jack In the Box, 2 mi. Shan Hu Chinese Restaurant, 2 mi. Central Texas Bar-B-Q, 2 mi. Thai Jasmine Restaurant, 4.9 mi. Chili's Grill & Bar, 5.5 mi. Joe's Crab Shack, 5.9 mi. Mamacita's Mexican Restaurant, 13.2 mi. Glenbrook Park Golf Course, 2.2 mi. South Houston City Park, 2.3 mi. AMC Gulf Pointe 30, 7.3 mi. Lucky Strike Lanes, 9.5 mi. Hermann Brown Nature Trail, 10.8 mi. Wortham Theater Center, 10.9 mi. River Oaks Theatre, 12.7 mi. Houston Scuba Academy, 17.6 mi. Clear Lake Charter Boat, 18.3 mi. Splash Time Watercraft Rental, 18.7 mi. Houston Hobby Airport, 1.5 mi. George R. Brown Convention Center, 9.5 mi. Minute Maid Park, 10 mi. NRG (Reliant) Stadium, 10 mi. The Museum of Fine Arts, 10.5 mi. Houston Grand Opera, 11 mi. Houston Symphony Orchestra, 11.1 mi. Hobby Center for the Performing Arts, 11.1 mi. Houston Museum of Natural Science, 11.1 mi. Miller Outdoor Theatre, 11.6 mi. MFAH Bayou Bend, 13.4 mi. Art Car Museum, 13.5 mi. Heights Theater Events Venue, 15.3 mi. Port of Houston, 25.1 mi.